One of the most known rules in the business world is the necessity for a company to hold its customers and maintain sustainability. Because newly founded companies only focus on reaching the new customers often, mobile app engagement strategy, unfortunately, they do not give enough importance to this important subject. Statistical studies show that a great percentage of the profit belonged to a company is formed only by 20% of the current customers of that company. According to another statistical study which is extremely interesting, if companies can increase 5% of the customer loyalty, at least 25% increase may occur in their sales. At this point, it is necessary to point out the importance of the mobile apps, because using mobile apps is the most practical way to be connected with customers. So, how companies benefit from the mobile apps to keep in touch with their target audience all the time? Increasing graphics of the mobile marketing make it mandatory for the companies to be in the mobile world. While keeping in touch with customers forms a loyalty bound, feedbacks enable companies to develop themselves constantly. Thanks to the push notifications which are the greatest advantages of mobile apps, it gets easier to introduce new products to the audience and inform them about the special offers. For the efficiency in the continuous communication made with customers, some points are required to be taken into consideration. Here are some tips to influence users with mobile apps. By taking into account your audience’s social media habits, you need to announce the developments in your app in these channels and strengthen your communication channels. Thus, while increasing your mobile user number, you can also reach the potential customers. Calling the call center because of a problem or a subject needed support may not be a quick solution always. Instead, by adding a live back-up module which can help your users in a quick way, you can also offer your support in the mobile app. The most contemporary advanced, economic and quick way to be connected with the target audience is the mobile apps. 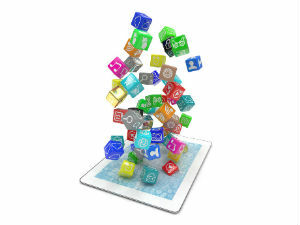 Mobile apps are necessary for companies to increase their brand recognition and ease the user’s life. If you still do not have your own mobile app, you can create your MobiRoller account and reach your target audience in minutes.